I’ve recently got back from a trip to Florence where I used to live for nearly two years. 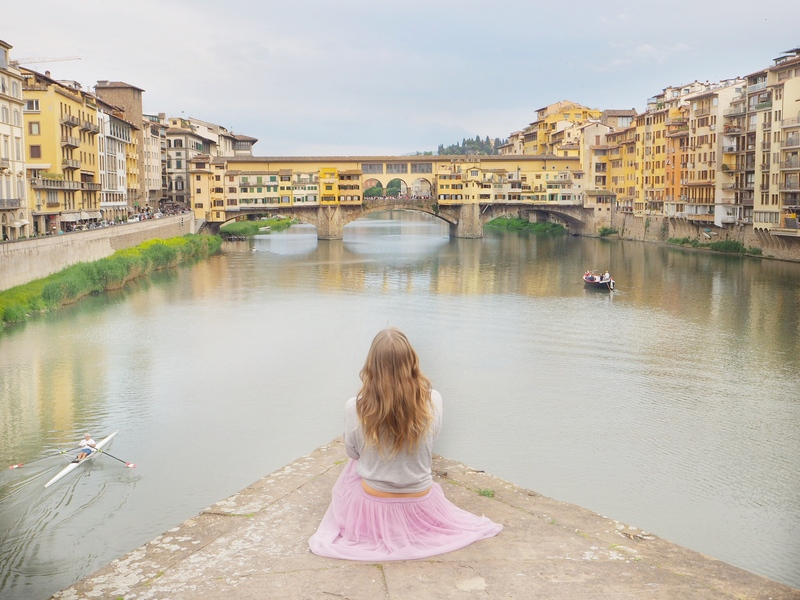 The winding streets, gorgeous architecture and the amazing food culture stole my heart to a point where a three-day trip in 2013 ended up in me packing my bags and moving to the Tuscan capital. What followed were quite possibly the two most charming years of my life. Waking up to the sound of church bells echoing across Piazza Santa Croce where my apartment neighboured a building once owned by Michelangelo’s family; coffee dates turning into wine-filled lunches, gorgeous sunsets over Ponte Vecchio… it was nothing short of magical, or at least it certainly seemed like it when I look at my Fiorentino life from a perspective. Returning to Florence after nearly two years away felt a bit like slipping on an old glove, the feeling of familiarity warm and comforting. But there was something else…a bittersweet strike of nostalgia hiding in every corner of Centro Storico. 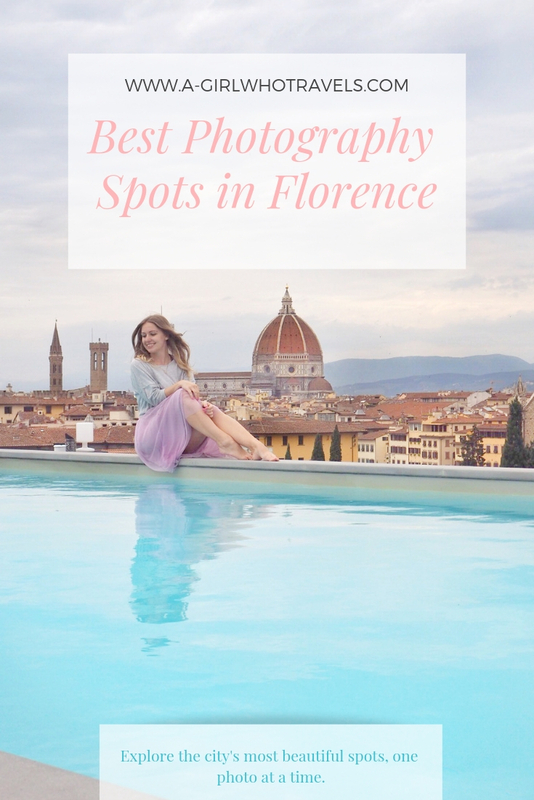 Being back was the perfect excuse to re-discover some of my favourite spots and, as I figured while wandering the cobblestone lanes, an equally great opportunity to put together a mini guide to the best photography locations in Florence. 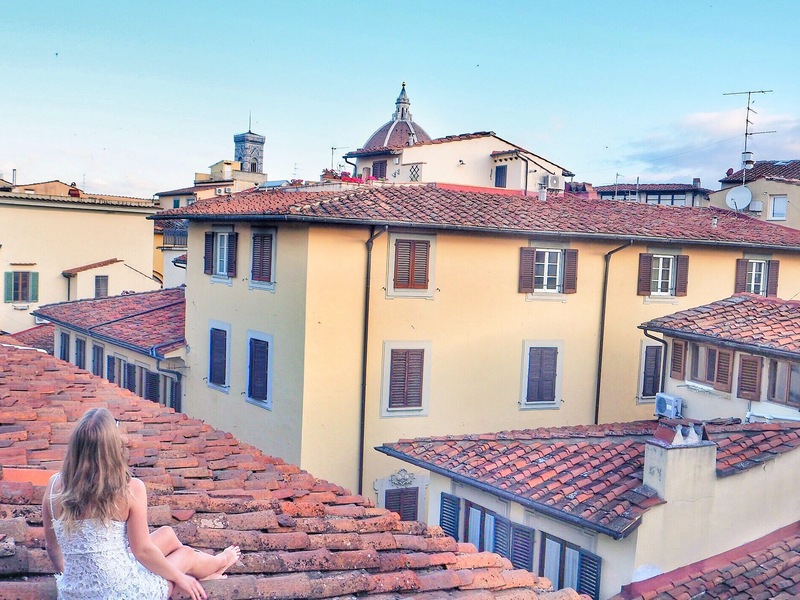 Before you start snapping away, remember that Florence, just like Italian food, is meant to be enjoyed slowly. Be sure to take the time to take enjoy the beauty of each place and your experience will be much more magical. The most iconic Florence landmark is, of course, Cattedrale di Santa Maria del Fiore or, as the locals affectionately call it – il Duomo. Its stunning dome has been dominating the city’s skyline for over 500 years – can you imagine the stories it would tell if it could talk? Trust me, you’ll never forget the moment you first see Duomo, its grand, marble facade dramatically emerging as you approach the piazza. For a fabulous Duomo shot, head to the back of the cathedral (it tends to be less crowded, although fighting tourists for a good photo is pretty much inevitable!). Stop at a nearby Gelateria Edoardo and grab one of their delicious (and organic, may I add) gelato to complete your shot. 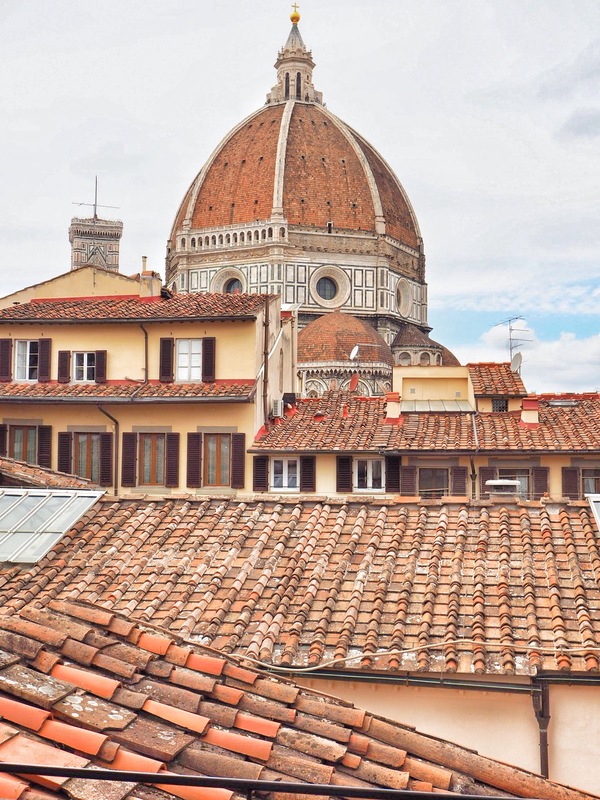 With gorgeous views of Duomo and Fiesole hills stretching in the background, the rooftop bar at the Hotel Plaza Lucchesi couldn’t be more picture-perfect. When shot at the right angle, the pool appears to hang over the very edge of the building, almost hovering over the historical centre. According to the hotel’s website, the rooftop bar is open to the public after 7:00pm, but since I had no trouble strolling in the early afternoon, I don’t think you will either! I’ve read so much about the historical Ponte Vecchio before my first visit to Florence (would it be wrong to admit that most of that knowledge came from Dan Brown’s Inferno?) that the moment I finally got to see it felt almost surreal. One of my favourite sunset spots, the bridge is lined up with jewellery stores just as it was back in the 16th century (the goldsmiths famously replaced butcher stores which used to occupy the bridge for centuries until Ferdinand I deemed the meat stench too offensive). If you look closely, you’ll notice a corridor running across the top of the bridge. That’s Corridoio Vasariano, a kilometre long ‘secret’ passage built by Vasari in 1565. The bridge used to serve the Medici as a connecting route from Palazzo Pitti in the Oltarno to the Uffizi. You might be wondering why I’m sharing all this with you instead of getting straight to the point. You see, your experience of Florence will be much more meaningful if you understand the history behind. This way you won’t be just looking at buildings – you’ll be looking at a story. My favourite place to admire Ponte Vecchio in all its glory is one of the triangle pylons supporting Ponte Santa Trinita. My friends and I would often come here with a bottle of wine and a pizza from Caffe Italiano to watch the sunset. Hands down the best front row seat in town! The views stretching from the top floor of the Oblate Library are just as impressive as the history behind it. Biblioteca delle Oblate served as a convent back in the 13th century. The nuns living there at the time worked as nurses and cleaners at the nearby Santa Maria Nuova hospital founded by no other than Folco Portinari, the father of the famous Beatrice – the muse of Dante Alighieri and one of his guides in the Devine Comedy. If that’s not enough to get your head spinning, Leonardo da Vinci used to frequent the tunnels running underneath the convent where he’d secretly dissect corpses as a part of his study in human anatomy. The sheer amount of history behind every building and street corner in Florence never ceased to amaze me – being here is quite literally like getting sucked into a history book! The rose garden hovering over Oltarno is one of my favourite hideaways in Florence. 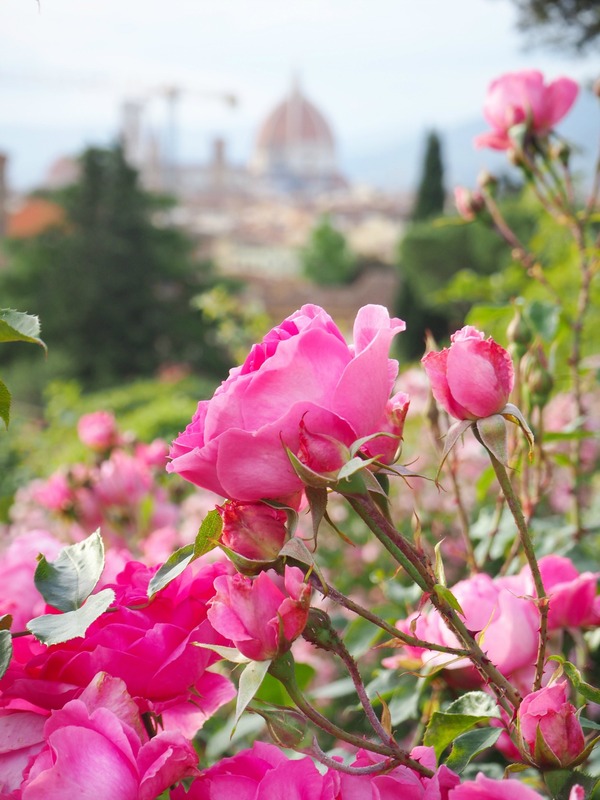 Much more intimate than the touristy Piazzale Michelangelo stretching above, the garden boasts panoramic views of Florence and is home to over 350 varieties of roses. Their sweet smell fills up the air the moment you walk in, making it a perfect spot for a summer picnic or a daytime date. For a unique street shot of Duomo, head to Via Dei Servi. 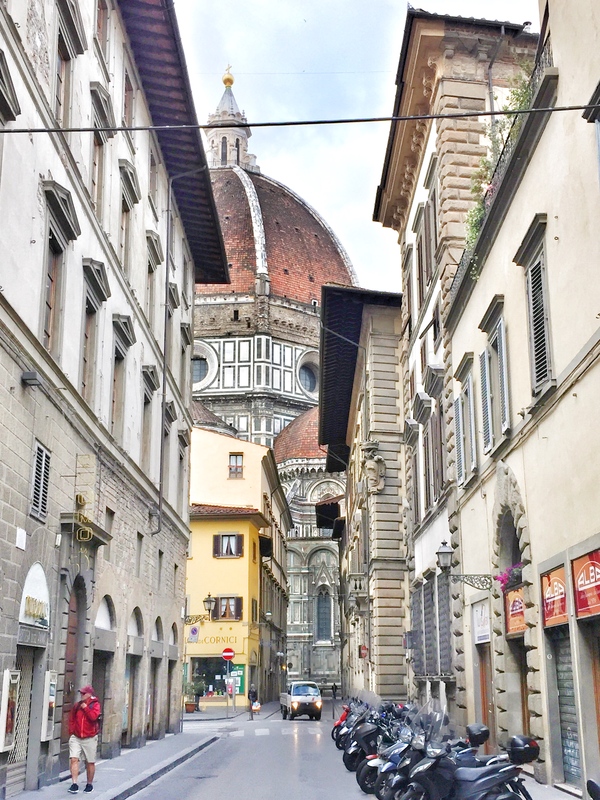 Lined up with charming 14th Century buildings, the streets points straight towards Duomo, creating a fantastic perspective as the cathedral dramatically emerges from behind the buildings. In a city as ridiculously photogenic as Florence, you don’t have to try hard to take a good picture – simply look through your window! While the photo evidence above may suggest otherwise, I wouldn’t exactly advocate climbing a rooftop in a bid to take a perfect Instagram shot… For a slightly less life-threatening option, rent an apartment with an access to a balcony or with a rooftop window (in fact, any window will do!) where you can admire stunning views of the city. The most wonderful time to do this is at sunrise and at sunset, when the sun casts warm shadows over the buildings and the sky changes its colour to the prettiest shade of pink. 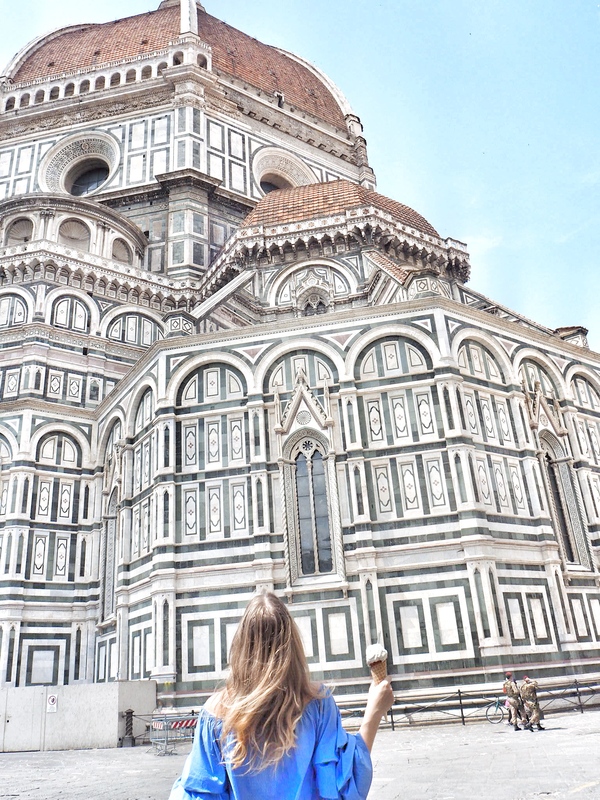 Are you planning a trip to Florence this summer? Perhaps you’ve already visited and would like to add your favourite places to the list? Let me know in the comments! Oh I love Florence! It really is utterly Instagrammable! It’s one of my favourite cities, such a beaut!